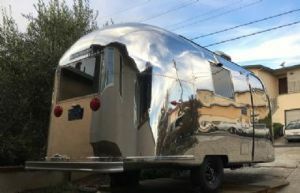 This shaving tool for Olympic pop rivets used on Airstream fits a standard 1/4" drill and shaves the 5/32 Olympic Bulb-Tite rivets giving it the appearance of a solid brazier head rivet. When shaved with this Olympic Rivet Shaving Tool, the rivet looks almost identical to the original factory rivets on Airstreams and other aluminum trailers. This Olympic rivet shaver has a concave shaving bit and an adjustable depth stop. 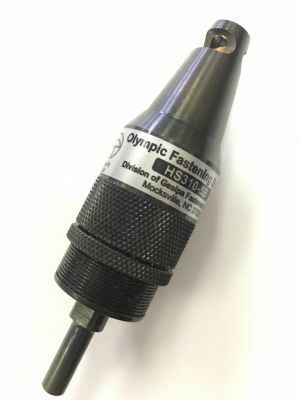 After setting to desired depth, the Olympic Rivet Shaving Tool bit presses down onto the rivet head and shapes it to a perfectly formed dome shape.